ESMG Quadrivium is the student association for classical music in Eindhoven. ESMG Quadrivium is the classical music association for students in Eindhoven. It has a wind orchestra, symphony orchestra, several ensembles and piano members. It is one of the largest cultural associations in Eindhoven. We organize concerts and classical music related activities for our members, such as a music open stage and piano masterclasses. You can even hire an ensemble or piano member to play at your own event. Members of our association include not only TU/e students, but we are open for all students from everywhere. 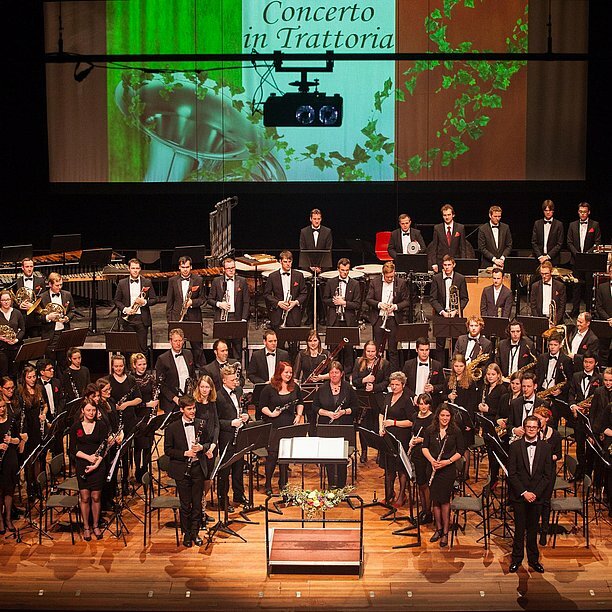 Wind orchestra Auletes consists of about 50 musicians, conducted by the young and enthusiastic Paul van Gils. Every year the orchestra plays a variety of challenging pieces, which are performed on several great stages. For example, the Muziek op de Dommel festival, the Muziekgebouw Eindhoven or at the campus of the Technical University. New musicians are always very welcome to come and play or listen to one of the rehearsals. Wind instruments, percussionists but also basses and a harp are part of the orchestra. Wind orchestra Auletes rehearses on Thursdays from 19:30 until about 22:15. The location of the rehearsals is the Luna building on the campus of the university. After the rehearsal the bar is always opened! For more information about Auletes you can send a mail to auletes@esmgquadrivium.nl. 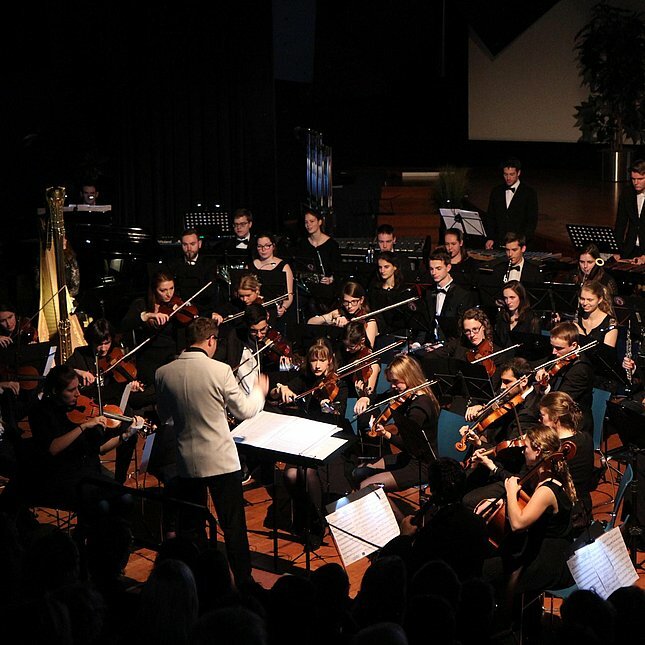 As the only student symphonic orchestra of the region, Ensuite aims to bring musicians of all skill levels together to play classical music of high quality. In the last few years Ensuite has played many different pieces and themes, ranging from the ‘Peer Gynt Suites’ and ‘Echoes of Ossian’ to more modern themes like ‘Call of Duty’, ‘Angry Birds’ and ‘Tetris’. Ensuite is not only a fast-growing orchestra. It is also a very warm and friendly group of people who enjoy spending time together, both during the rehearsals and outside of the regular rehearsal hours. Our conductor, Bart Partouns, can also be found at the bar regularly. If you are interested in joining the orchestra, don’t hesitate to drop by! 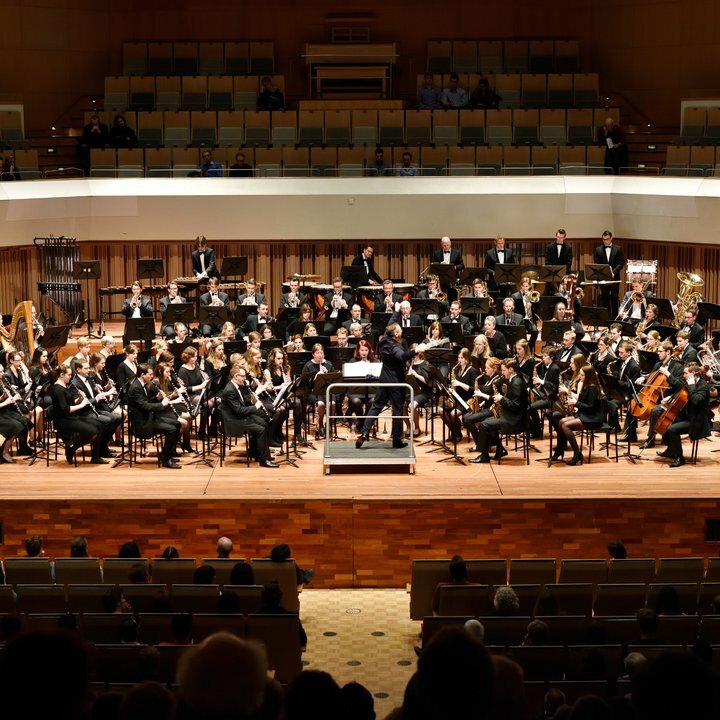 Symphony orchestra Ensuite rehearses on Wednesdays from 19:30 until about 22:15 in the Luna building on the campus of Eindhoven University of Technology. For more information about Ensuite you can send a mail to ensuite@esmgquadrivium.nl. Vokollage is a very friendly choir of about 25 musicians. The choir’s motto is: everyone can sing, only some still need to discover this talent. 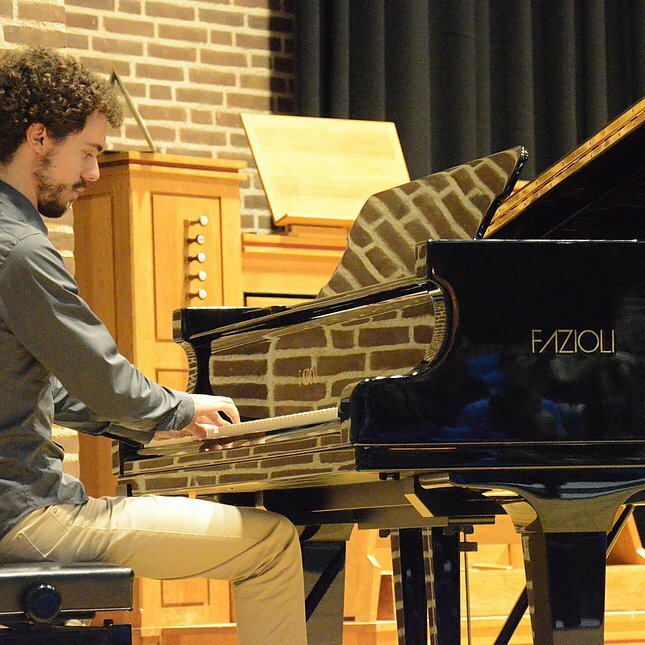 Over the past few years, Vokollage has organized a number of fantastic concerts during which a repertoire containing a large variety of musical styles was performed, including jazz, classical music and sometimes even hip-hop! 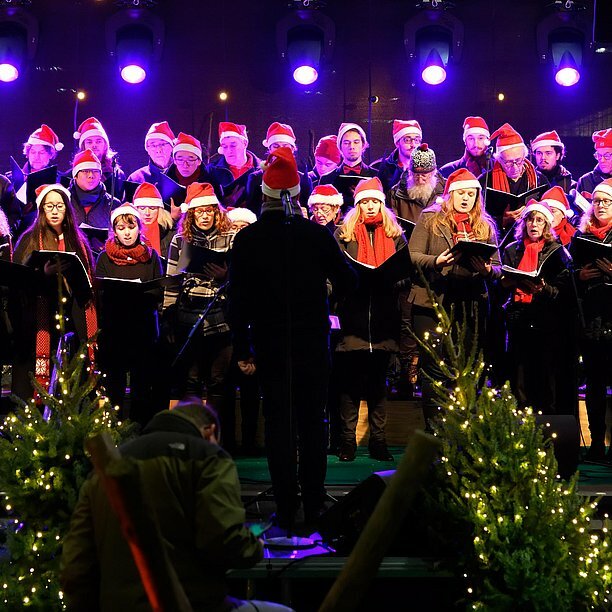 The choir often collaborates with resident orchestras Ensuite, Auletes and choirs from other parts of the Netherlands. Ruud Huijbregts, professional conductor and organ player, conducts the choir. Every Tuesday evening Vokollage rehearses from 19:30 until 22:00 on the campus of the university in Eindhoven, after which they can be found having some drinks at the bar. For more information about Vokollage you can send a mail to vokollage@esmgquadrivium.nl. If you play piano or any other instrument you can join our association to make use of the rehearsal rooms and participate in our events. We have a couple of rehearsal rooms, 4 pianos, a grand piano and even a drum kit. These instruments can be used freely and during the whole day as a member of Quadrivium. Activities that we organize include a music open stage, where you can perform for our other members, ensemble days where you can form ensembles and will receive professional coaching, and also piano masterclasses open to all Quadrivium members. If you are a complete ensemble, we can even arrange coaching and concert opportunities for you!